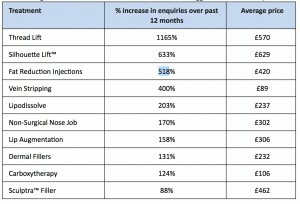 New statistics from clinic comparison website, WhatClinic.com, shows which cosmetic treatments were hot and not in 2014 and potential trends for 2015. 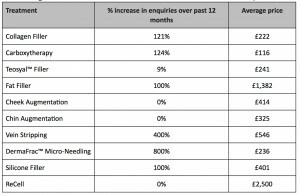 Thread lift enquiries shot up by 1165% in the past twelve months, despite the sizeable average £570 price tag, up from £544 in 2013. 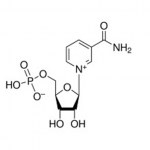 The process, which is used for rejuvenating skin tone and improving the structure of the face, involves soluble polydioxanone thread being inserted through the skin with a fine needle to tighten and firm the skin, while smoothing wrinkles. 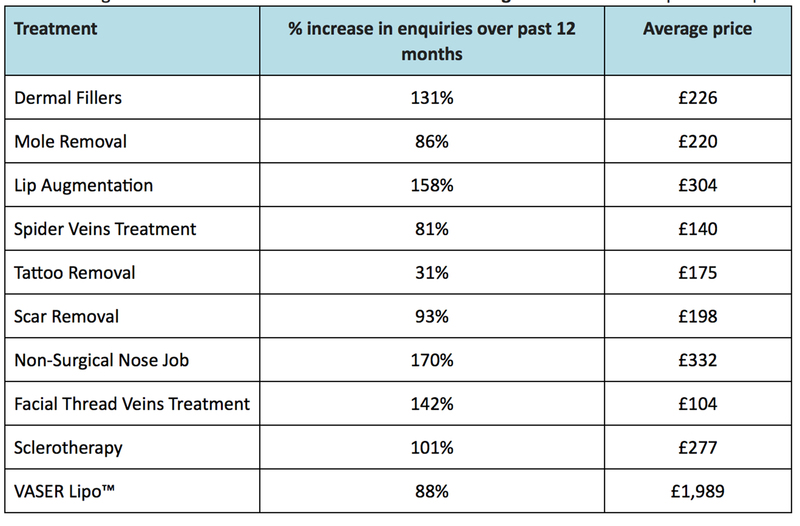 Another popular skin rejuvenation treatment in 2014 has been silhouette lifts, with enquiries up seven-fold (633%) in the past 12 months alone. 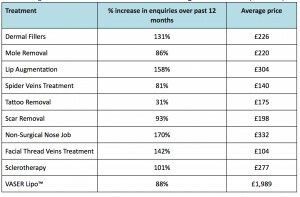 The average price for one treatment has dropped by more than a tenth (11%) in the past year, to £629 from £706 per session. 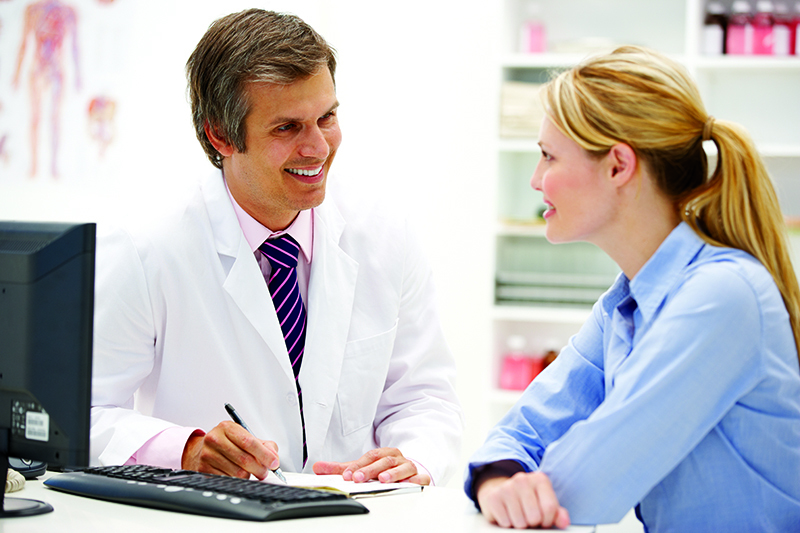 Fat reduction injections and lipodissolve saw big increases in the number of enquiries, at 518% and 203%, respectively. The non-invasive treatments cost a fraction of the price of their surgical alternatives and require no downtime or general anaesthetic. 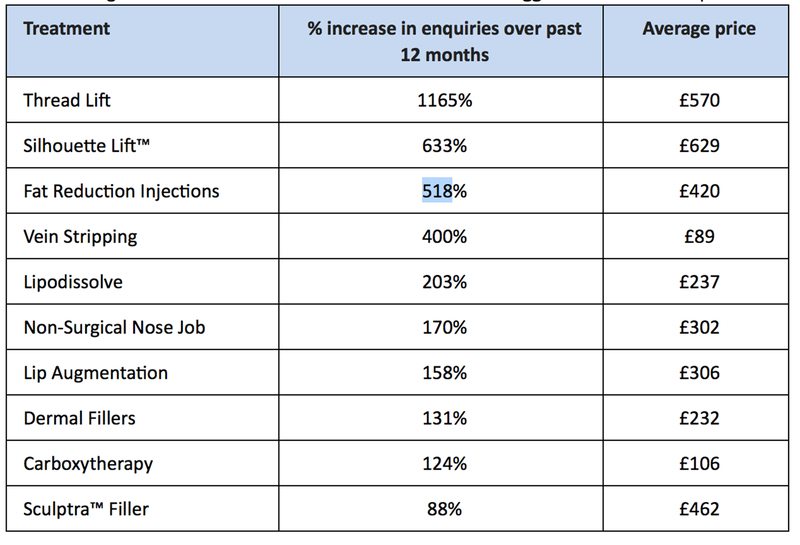 Dermal fillers were the most popular treatment in terms of number of enquiries in 2014, yet still saw an increase of 131% in the past 12 months alone. Mole removal, lip augmentation, spider vein treatment and tattoo removal were also in the top five most popular treatments. Open rhinoplasty was one of the biggest trends in 2014, however, non-surgical nose jobs were still one of the most popular non-surgical treatments of the year. The treatment uses fillers to shape the nose and requires no downtime or general anaesthetic. Although the treatment isn’t permanent, patients will pay £332 on average, compared to £4,474 for open rhinoplasty and £3,525 for closed rhinoplasty. 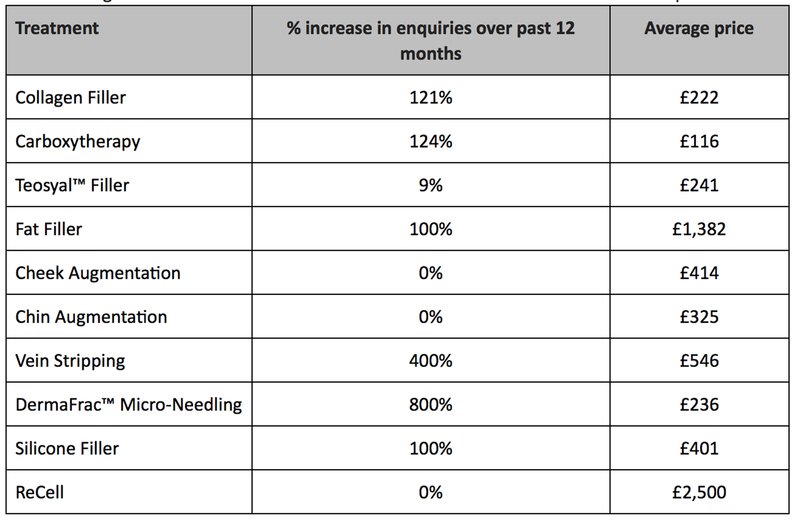 Enquiries for fat filler injections increased by 1100% in the last quarter of 2014 as patients opted for this more ‘natural’ filler. 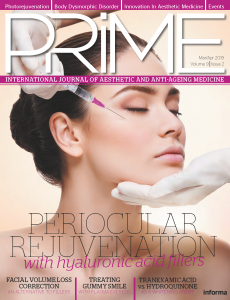 Platelet rich plasma facials, also known as ‘the vampire facial’ also saw enquiries shoot up by 223% in the same time period. The treatment extracts platelets from the patient’s blood and re-injects them into the face, neck or hands, to give more youthful looking skin.